TTR, along with our sister company TravelMedia.ie, have been appointed by Bradley International Airport as their representation within the Irish market. Bradley International Airport is in Connecticut and is the second-largest airport in New England. In 2017 it was voted the 5th Best Airport in the US by the readers of Condé Nast Traveler magazine. Aer Lingus (EI) serves Bradley International Airport daily from Dublin (DUB) during the spring, summer and autumn and up to four times a week during the winter. The average flying time from Dublin to Bradley International Airport is 7 hours, with one-way fares starting at €158.99 (as part of a return journey). Bradley International Airport is located just outside Hartford Connecticut, one of the oldest cities in the US. Hartford was founded in 1637 and hosts many wonderful tourist attractions, including the former home of Mark Twain and the country’s oldest art museum. It is also about the same distance to Springfield Massachussets, which is known as the “The City of Firsts” due to its many innovations. It is also the former home of famous children’s author, Theodor Seuss Geisel (Dr. Seuss). 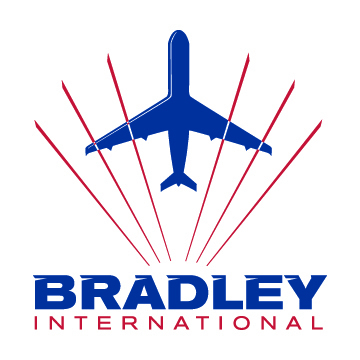 If you want to get more information on Bradley International Airport or would like to work with them, please contact michael@travelmedia.ie.